To see the latest Cobra golf clubs, please visit our Cobra irons and Cobra drivers pages. Buy Cobra S3 Driver Now! Larger, Elliptical Face (1) - The new taller, elliptical face shape mirrors ball impact patterns to increase ball speed where golfers hit most often. The S3 has the sweet spot positioned middle towards high on the toe, where the average golfer will have the majority of mis-hits. This is an improvement over the S2, which had the sweet spot middle to top in a strictly vertical progression. Thin, Hot Face with Beveled Perimeter Design (2) - A new optimized face thickness design increases ball speed across a wider face area. An exclusive beveled perimeter design reduces wall thickness around the clubface, which shifts weight low and back to optimize launch conditions. The second key feature is the Adjustable Flight Technology (AFT), carried over from the S2, offering three simple face-angle settings (Open, Neutral and Closed) to optimize ball flight. The Cobra S3 Driver has a black crown with the Cobra logo alignment aid and a traditional silver face with grooves along the bottom and outer edge. The sole of the club is much meaner and nastier than the S2 with sharp black, gold and silver fangs apparent throughout the design. The driver mergers a very traditional look (face and crown) with that of a more modern club in the wild, reptilian sole design. 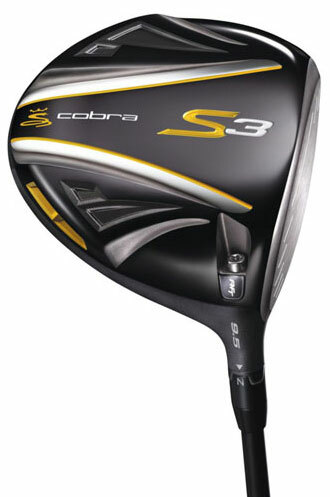 Buy Cobra S3 Fairway Now! 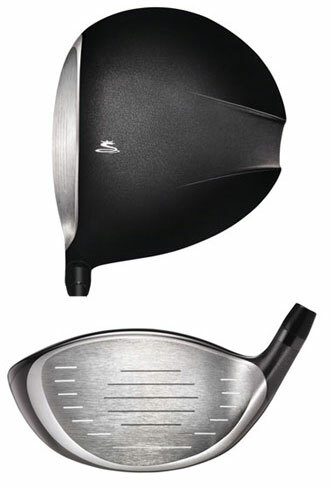 The Cobra S3 Fairway Woods will give you more distance with the 25% larger face and increased size of the Sweet Zone. These clubs also have an oversize profile, which brings with it a high moment of inertia that makes it a very forgiving club. Buy Cobra S3 Max Driver Now! Buy Cobra S3 Max Fairway Now! 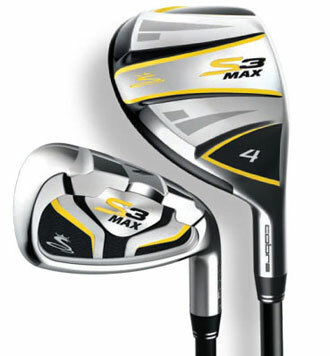 The Max edition woods have two added features of technology to Cobra S3. The offset design helps the average golfer by promoting a square face at impact, aka a closed face for a draw bias (anti-slice). They have also integrated a unique crown alignment design, using visual clues at the back of the crown that open towards the face, rather than to a point at or near the face. Buy Cobra S3 Irons Now! 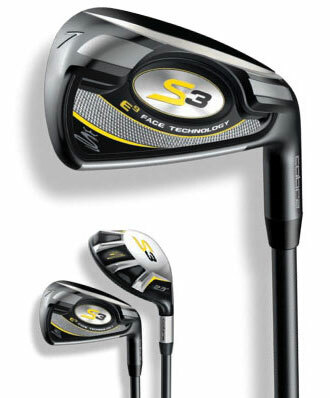 Buy Cobra S3 Iron-Hybrid Set Now! A high-strength steel and alloy composition in the long- and mid-irons allows for a thinner, hotter face for increased COR and ball speed. New hidden internal polymer topline and full cavity TPU (thermoplastic urethane) combine to optimize weight distribution and dampen vibration for superior feel and distance. A versatile mid-width sole narrows in the toe and heel to provide superior turf interaction to promote more consistent distance and accuracy. Available in the S3 Iron-Hybrid set to promote more forgiveness and a higher ball flight than standard longirons and provide more consistency and versatility. Buy Cobra S3 Max Irons Now! Buy Cobra S3 Max Iron-Hybrid Set Now! From hybrids to short-irons, the iron-hybrid set is designed to provide consistent and reliable distances from one club to the next. Shifts the center of gravity low and back. Improves turf interaction for more consistency and power at contact. 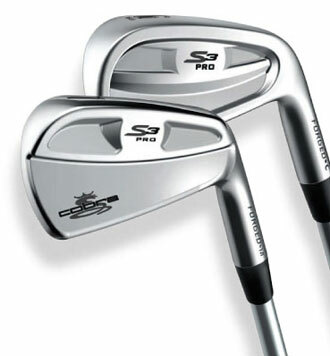 Buy Cobra S3 Pro Irons Now! Cobra's “player profile” for the S3 Pro Irons is Low-handicap golfers seeking improved control and workability in a Tour-proven design. Similar to an iron-hybrid combo set, the S3 Pro Irons offer a mixed bag of Cavity-back Long and Mid-irons for control and forgiveness on longer shots and Muscle-back Short-irons for feel and workability closer to the green. With so many golfers going to the hybrids for their long-irons, it's nice to see a combo set with more of a player's style for the lower handicaps. The first thing we're excited to see and try out is the driver with the E9 Face Technology. While different golfers have different mishits at different times, we are intrigued by the moving of the sweet spot slightly away from center to high and right where the majority of mishits are and excited to see how this performs in the long-term. Equally as exciting is the variety offered in the iron category, giving more players more options with the cavity, muscle and hybrid combo sets available. This much variety within a series will make it easier for golfers to settle in to a comfortable set of sticks in their bag. And finally, with all the flash and color out there, it's nice to see such a simple design on an iron. It's not for everyone, but it's good to have a classic look on the shelves.